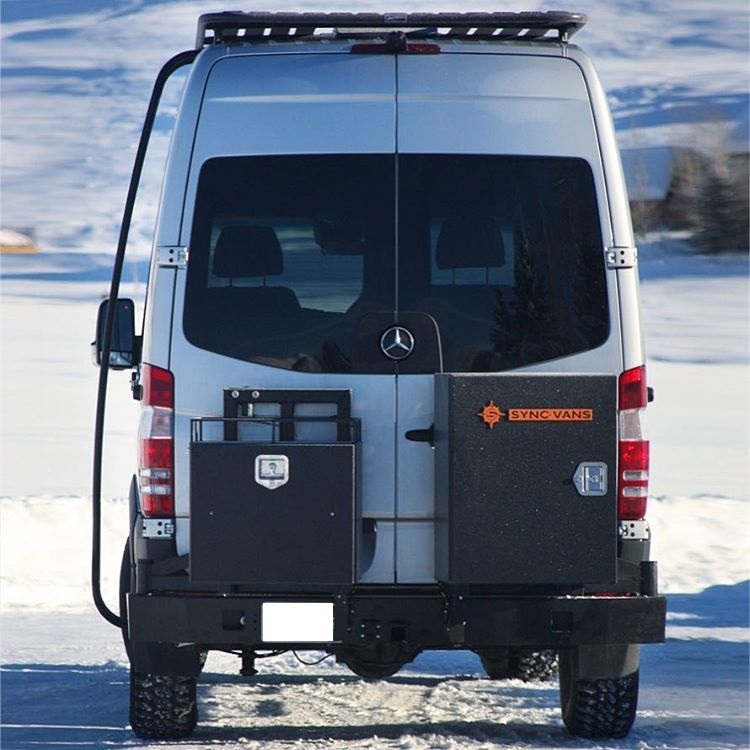 Many Mercedes Sprinter owners convert their vehicles into motor homes. 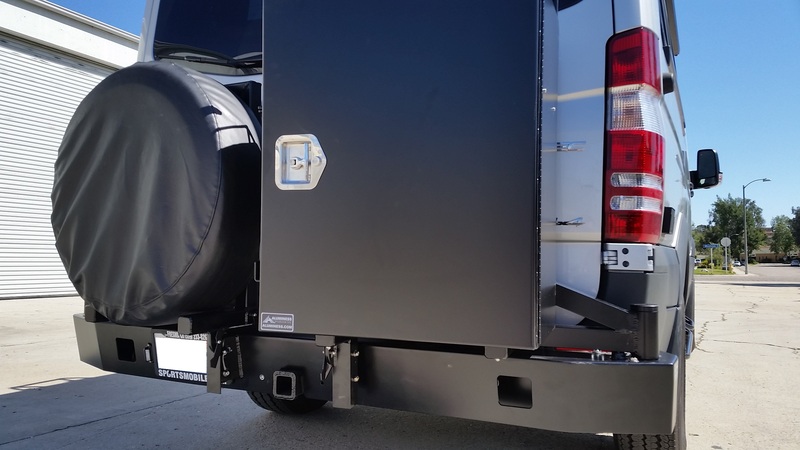 Many of those conversions benefit from outside storage for generators, camping stoves, BBQ’s and other dirty items that you don’t want inside your vehicle. 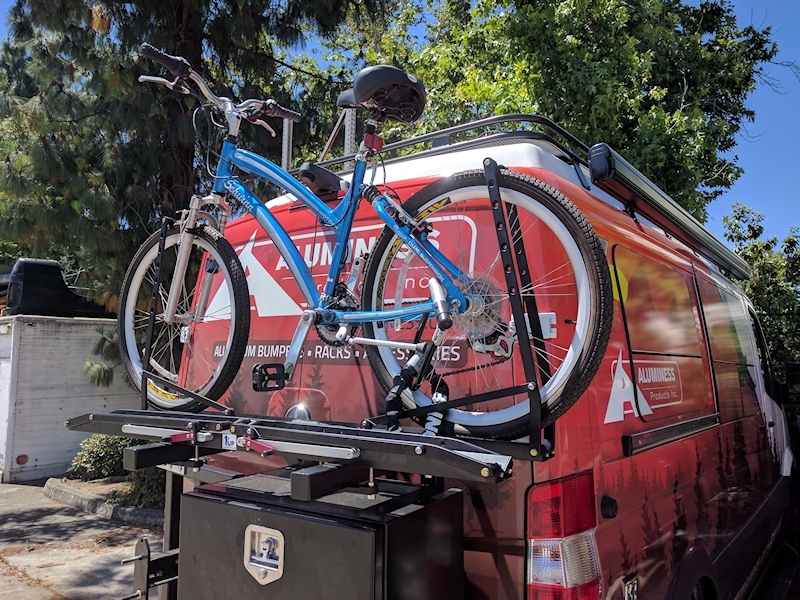 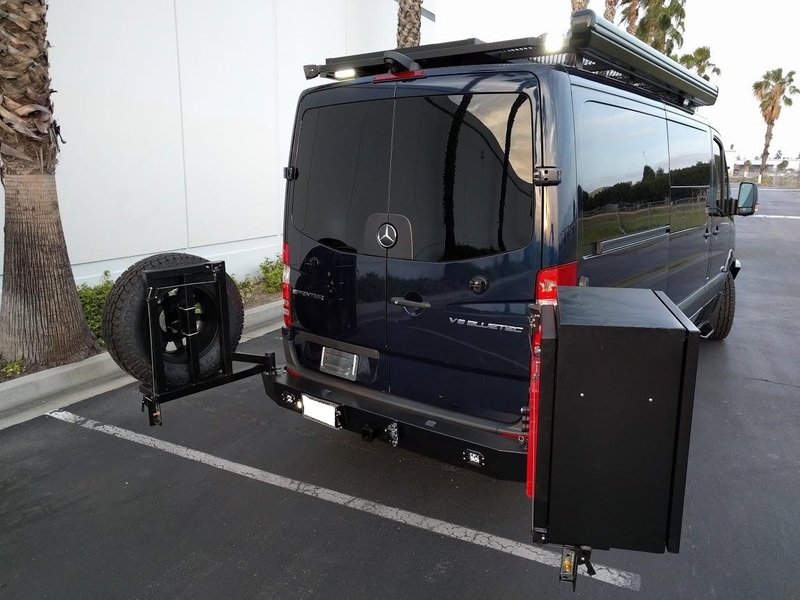 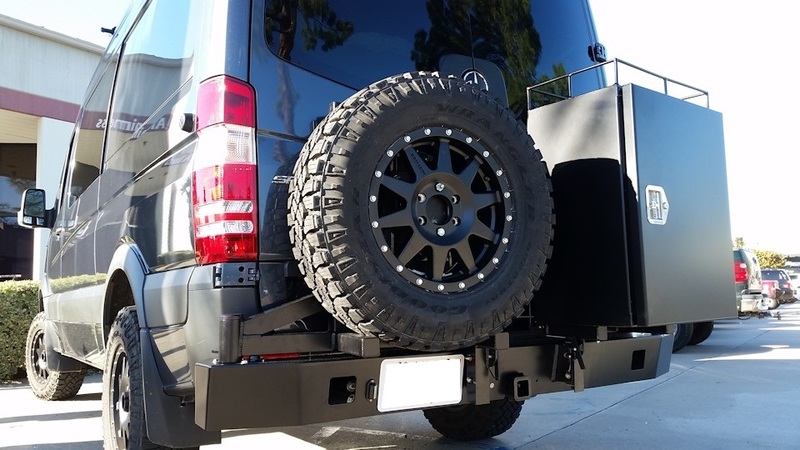 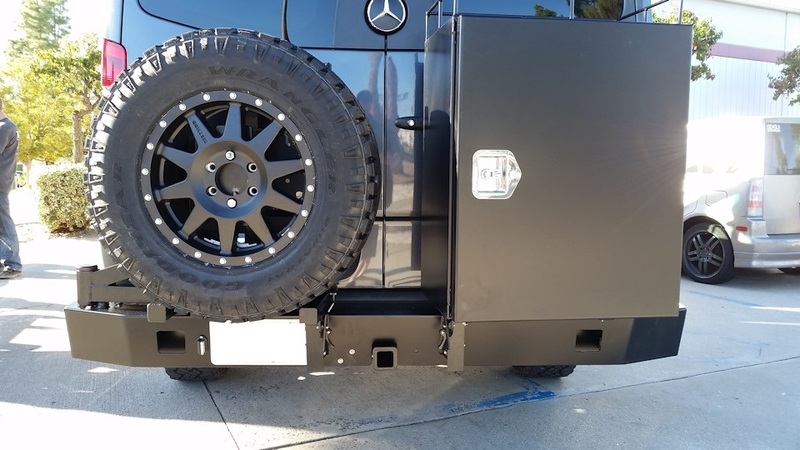 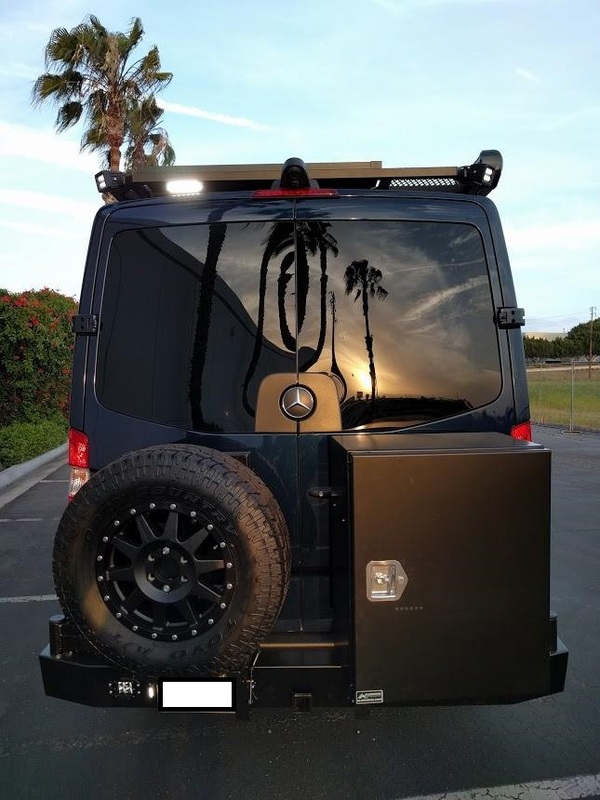 Aluminess rear bumpers are set up to carry those items, along with a spare tire, allowing you to put extra fuel or water underneath the vehicle.